Feel like you're not getting the rest you deserve? Take our questionnaire and someone from our office will contact you as soon as possible. For Male, is your shirt collar 17 inshes/43cm or lager? Allen J. Salem M.D., F.C.C.P. As I was finishing my fellowship nearly three decades ago, I asked one of my professors, "How does one succeed as a physician in the real world?" He told me, passion for your profession and compassion for your patients will lead to success. Indeed, this has held absolutely true. My time in Idaho Falls can only be described as extraordinary. Arriving in 2011, as the only recently trained and board-certified pulmonologist and sleep specialist, I found the need for my services enormous. I have been able to build excellent relationships with the providers, staff, and Mountain View Hospital, soon to include, full service, state of the art hospital Idaho falls Community Hospital. While we cover a broad range of pulmonary disorders, I have developed a particular interest and expertise in pulmonary hypertension which has been lacking in this area. This complex and potentially rapidly fatal disease is greatly misunderstood, often misdiagnosed, and both over and undertreated. 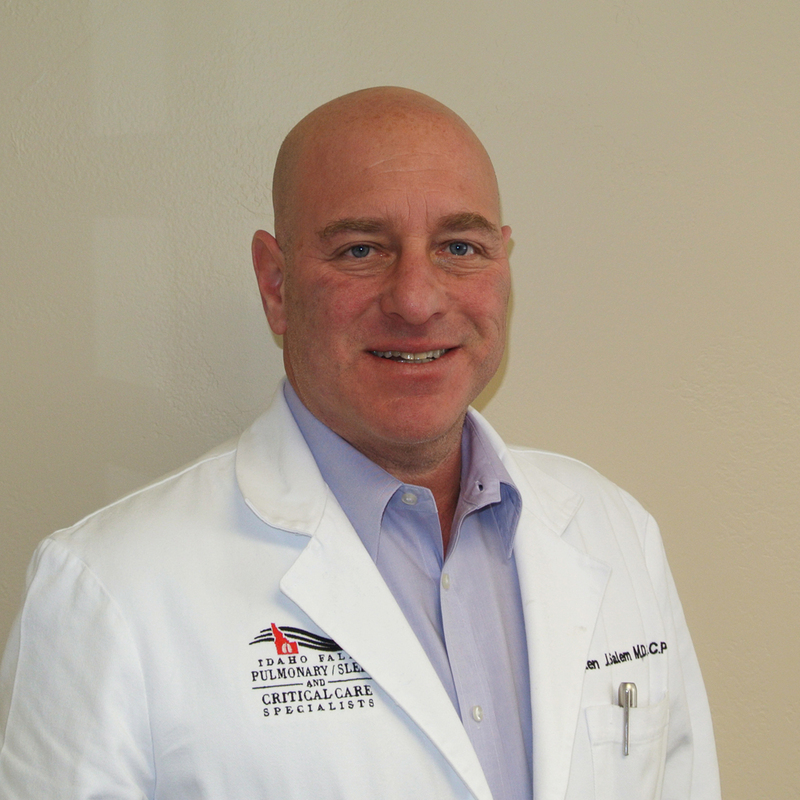 Throughout my career, I have developed a passion for diagnosing and treating patients with sleep apnea as well as other pulmonary issues. I am frequently asked what sets us apart from others who diagnose and treat sleep disorders. The answer is simple, sleep apnea is a breathing/airway problem. We are the clear experts in this field. Why go anywhere else. I would like to thank my colleagues, patients, and those that work with me daily for their loyalty and confidence. I am truly grateful. A Mountain View Hospital Affiliate.